The continuing mission of KL is maintaining service excellence by exceeding our client expectations through high quality, timely, responses to their needs at a competitive price. 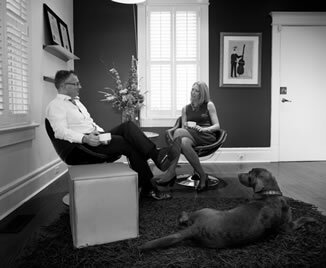 At KL, our clients’ success is our success, and we remain steadfastly committed to assisting owner-managed businesses, not-for-profit organizations, and personal tax clients meet their financial and compliance needs and, as such, we deliver a value-added experience with the utmost professionalism and care. In so doing, we aim to grant our clients the peace of mind that allows them to focus on surpassing their short and long term operational, strategic, and personal objectives, forging a professional relationship that grows ever stronger over the passage of time. Internally, we have grown from two partners, one administrator and a home office to a three story office building and an additional 4 full-time professional staff and two to three part-time co-op students throughout the year. This growth has been meticulously planned in order to continue to meet the professional needs of our current clients and to accommodate those of our new clients always continuing our commitment to service. Although KL can assist in your compliance engagements such as personal and corporate tax preparation, assurance and accounting (Audit, Review and Notice to Reader financial statement reporting) and consulting thereon, we also provide estate planning, business advisory services; investment accounting services; software training; excise tax consulting; and US citizen/Canadian resident tax reporting. KL is responsive to your needs and we pride ourselves in our personal, hands-on approach to our clients. Our partners and senior team draw on each other strengths to ensure all of our clients receive the service they expect from their professional accountant.